Call Us for More Info on Our Roof Repair Today! If you're looking for roofing companies or roofing contractors to do your roof repair in Plainview, TX call Andrus Brothers Roofing! Our dedicated roofing contractors are experienced and ready to help you with your roof repairs and more. 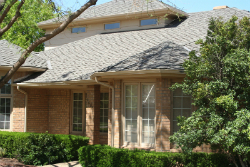 Our roofing company has been a stand out among roofing companies in the Plainview area since 1981. 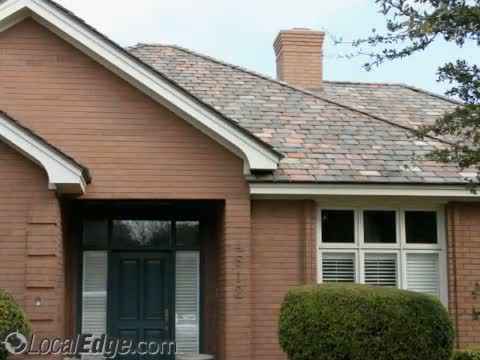 At Andrus Roofing, we have evolved our company over time to cover all of your roofing needs. Our experienced roofing contractors offer both residential and commercial roofing services. If you need roof repair or replacement in the Plainview, TX area, Andrus Brothers Roofing is the clear choice for a quality product. Our expert roofing contractors are ready to assist with any service you might need, and we're happy to answer your questions every step of the way. Other roofing companies in the area can't hope to measure up to our stellar customer service - or match our competitive rates! Offering quality & affordable roof repair in the Plainview area! The Andrus Brothers were insurance property adjusters and supervisors prior to starting Andrus Bros. Roofing. This past experience in the insurance field is what separates us from other roofing companies, giving us valuable knowledge of the nuances of roofing claims. It's a good idea to use a roofing company with insurance experience. Working with us makes the claims process as painless as possible, because you get all the expertise in one place! We will keep your best interests at heart as you file your claim and throughout the roof repair process. We can use our experience to help you navigate the tricky field of property insurance. Let our roofing contractors assist you with getting your fair settlement from your insurance company. As seasoned roofers, Andrus Brothers Roofing highly recommends that you inspect your own roof regularly. By checking the condition of your roof on a regular basis, you will easily avoid costly future repairs from further depreciation. Roof repair often gets overlooked and put by the wayside. Getting in the habit of fixing small issues as they come up is extremely beneficial to you, your home, and your wallet! We suggest that you schedule a roofing inspection from our professional roofing contractors at least twice a year. It is best to check in between seasons like spring and summer so as to catch any damage that may have been caused by inclement weather. With the proper roof repairs, you'll be able to maintain a resilient roof for decades to come! We recommending starting in your attic. If you are able to see that the roof is leaking or an outside light is showing through the roof, that is a warning sign that you might need roof repair. When examining the exterior of your roof, pay close attention to damaged or missing shingles that may be causing curling, blistering, buckling and rotting. Your roofing project is important to us! Whether you are in need of preventive roof maintenance, leak repairs, or a complete re-roof, our roofing contractors are the ones to call for prompt, high-quality Plainview based roofing services. Our roofing contractors will examine the damage and can provide you with a quote on the repairs. We’ll cover up the damage so you can stay comfortable while you’re waiting for the insurance company to approve the repairs. If you see any of these warning signs, call Andrus Brothers Roofing immediately! Avoid roof repair for as long as possible by keeping your roof in good working order. Inspect it regularly, keep your gutters clear to avoid leaks, and keep cobwebs and dust from your exhaust vents and ventilation systems. These precautions can help your roof live its longest life! And, as always, you know you can trust one of the most experienced roofing companies in Plainview, TX to come to your rescue when you need more professional roofing assistance. For quality roof repair services, contact Andrus Brothers Roofing today! As one of the most requested and trusted roofing companies in Plainview, TX, we are proud to serve our community's residents with unrivaled roofing service. We want to be your go-to roofing contractor for maintenance checks, repairs, replacement and installment. 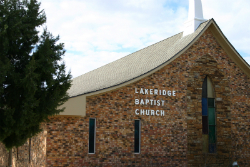 We serve the entire Plainview, TX area. Give us a call today! Our residential and commercial roofing contractors can provide you with roofing services. Our products include metal roof coating, composition laminants shingles, cedar shakes and shingles and more. 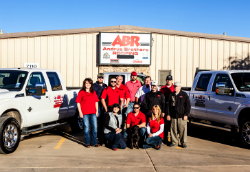 For the standout roofing company in the Plainview area, call Andrus Brothers Roofing today!